Donald Trump Jr. and his wife, Vanessa, are rumored to be headed for divorce. The pair met when President Trump awkwardly introduced them — twice — at a fashion show in 2003. When Donald Jr. and Vanessa met again a few weeks later, Vanessa recognized her future husband as "the one with the retarded dad." President Donald Trump introduced his son, Donald Trump Jr., to his future wife, Vanessa — but the ex-model did not take kindly to the introduction at the time. The duo, who were married in 2005 and are rumored to be heading for divorce, met in 2003 at a fashion show. "Donald Trump comes up to me with his son: 'Hi, I'm Donald Trump. I wanted to introduce you to my son Donald Trump Jr,'" Vanessa Trump told The New York Times in 2006. The conversation was awkward — and things only got more uncomfortable. During the intermission of the show, Trump spotted Vanessa again. And, he once again decided to introduce the model to his son. Republican U.S. presidential candidate Donald Trump gives a thumbs up to the crowd as his daughter-in-law Vanessa (L) and his son Donald Trump Jr. (2nd L) watch after a Trump campaign rally in New Orleans, Louisiana March 4, 2016. REUTERS/Layne Murdoch Jr. The Times wrote: "'Donald comes back up to me again, 'I don't think you've met my son Donald Trump Jr.,'' Vanessa Trump recalled. She remembers responding, 'Yeah, we just met, five minutes ago.'" Six weeks later, they met again at a mutual friend's party. They didn't recognize each other until after an hour-long conversation. "Then suddenly, something clicked: Wait, you were at that fashion show. Wait, you're 'the one with the retarded dad!' Vanessa blurted out," The Times reported. 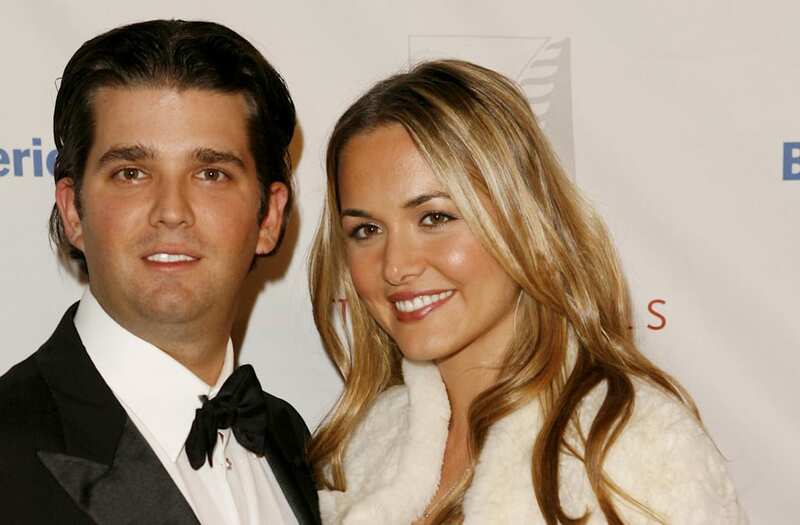 Vanessa Trump was working as a model and actress when she and Donald Jr. met. In 2003, she had a small role in "Something's Gotta Give." She also made headlines for famous beaus. In 1998, she became a tabloid favorite after being spotted with Leonardo DiCaprio at a movie premiere. In recent years, however, Donald Trump Jr. has been receiving more press than his wife. With his father in the White House, the first son has entered the world of politics with vigor — albeit without a formal role in the Trump administration. On Wednesday, Page Six reported the pair are living separate lives and are expected to file for divorce soon, according to friends.